How Old Were They On July 4, 1776? Read Todd Andrlik's list of famous folk and their ages. Do you think you know your American Revolution history? Take this advanced level quiz by historian Ray Raphael on his website. Laurie Halse Anderson's "Heroes Not Hate." 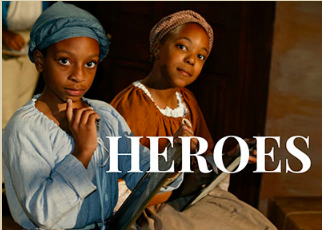 "Laurie has started a small campaign, HEROES NOT HATE, to help classes seeking out the unsung heroes of the American Revolution. She hopes that students who are inspired by the adventures of Isabel and Curzon and Ruth in the Seeds of America trilogy will want to learn more about the real-life Patriots who are rarely discussed in our history books."